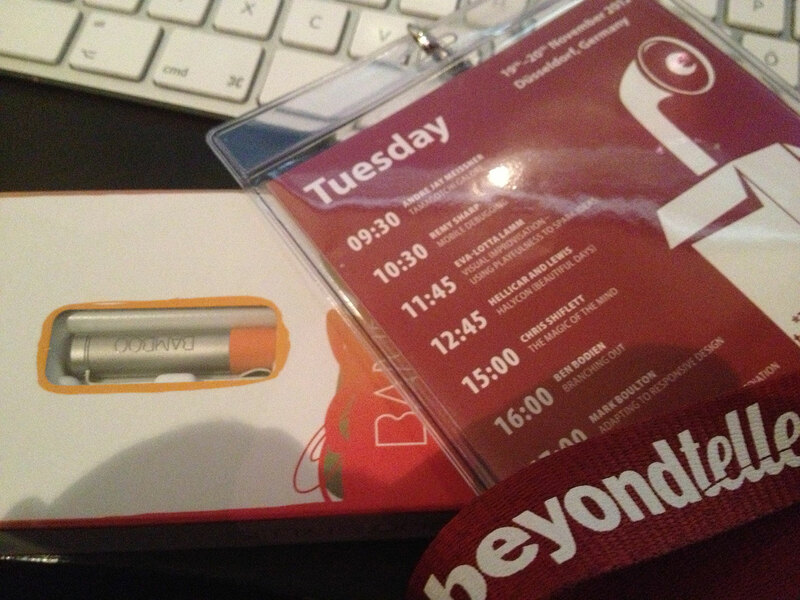 I was very exited to be part of beyond tellerrand 2012 and I didn’t get disappointed. While the conference in 2011 was great, this year it was even greater. And I got a sneak peak on next years speakers and 2013 might be even greaterer. And there is another good news: We won’t have to wait a whole year this time as Marc switches the dates for Play! 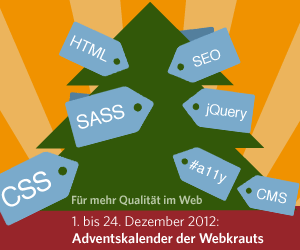 and Web and the later will take place in May 2013, 27th to 29th to be exact. My fellow german colleagues often nickname Beyond Tellerrand as „Klassentreffen” (class reunion) for the german webworker scene and that exactly nails it. You can meet everybody in Düsseldorf and it was great to see Sandra, Eric, Christian, Marc and all the others again and meet new talented guys like Dennis and Andreas. Plus we had nice vegan food together. Those who follow me on Twitter might have noticed that I didn’t tweet that much this time. And I barely took notes. This is because I was afraid to miss something from all these great talks. And all of them were fascinating, both those with more technical details and those without. So I won’t get into any details here, others have already done this and more will follow. Marc will most likely put a nice list of all posts on Lanyrd or somewhere else. Marc is collecting all write-ups on the conference’s lanyrd-page. What I love most about this conference is most likely this familiar flair that’s everywhere. And this is most likely because of Marc. No matter how busy he might be, there is always time for a little chat or a beer. Thanks to this you don’t feel like just attending a conference but being part of it. Of course his team does also a tremendous job to run this so smoothly and a great thank you goes out to them, too. The worst thing is that I’m in such a passive role. I’m just not used to it, I’m a maker in everything I do. You’ll for instance never see me in a baseball stadium just watching. So this is really hard for me. And I’ll have to change this one day. Pictured above is BTW my brand new Wacom Bamboo Stylus which I ‘won’ at the conference. Thanks to Wacom for the Bamboo and thanks to Marc for throwing an orange one in my direction, as orange is my favorite color.